Indian governance has lacked in public oriented administration. Politicians, and the administrators seem to have been working in self-interest rather for public. National interest appears the last priority. Bureaucratic attitude has resulted in deficient result oriented development in almost all fields, such as polity, scientific development, and healthcare delivery. Adoption of Westminster democracy has resulted in undue concentration powers in the hands of elected representatives with lack of ‘checks and balance’. Indic religions and culture may have a lot to give to the world. A chapter is devoted to discussion on religion, and what India could contribute to the world. The world recognises India as the spiritual hub, and looks forward to its contribution. The book is a cross sectional discussion on different aspects of governance, and India’s religious identity from the standpoint of a common man or woman. Looking at Indian democracy and policy one wonders if there is a conflict of interest between those who govern and those who are governed, the public! Laljee is a medical graduate, and served in the Armed Forces (AMC) for about thirty-nine years. He retired in the year 2002 from the post of Dir Gen of Medical Services of the Air Force in the rank of Air Marshal. He is a published author in Hindi and English, has poetry books in both these languages, and a play in Hindi. His most recent publication is Karma: its Applicability and relevance in Day to Day Life. He has been a pioneer in hospital waste management in India, and authored a book on the subject. The thinker that he is, his interest has recently taken a turn, and now he enjoys reading and writing on socio-political and philosophical topics. 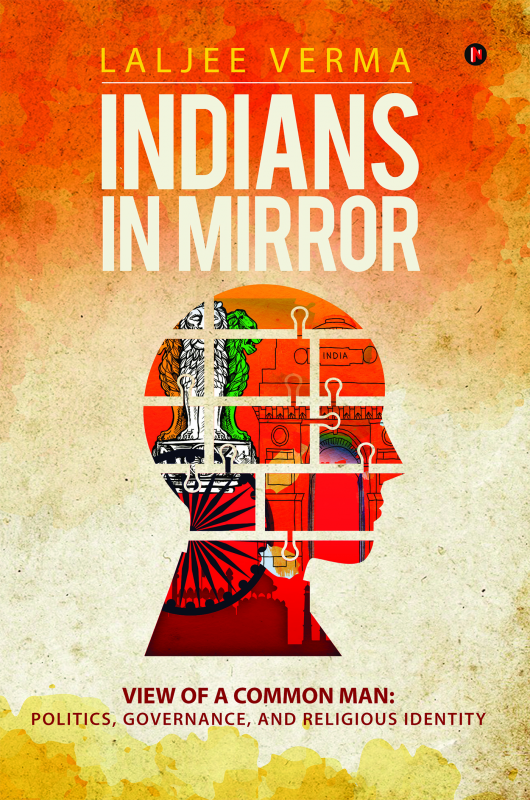 Looking at the deficient governance for public good he has decided to publish second revised edition of his earlier published work Indians in Mirror View of a Common Man the Aam Aadmi. The present edition is the result of his pondering on this important topic; relevant to every person in the governing machinery, or the public at large. Laljee is active on Facebook, Speaking Tree, and LinkedIn; and can be contacted through email. Laljee lives in Delhi with his wife.